Retired teachers held major protests in various Iran cities demanding improvement of their livelihoods. The gatherings were held on Thursday, December 20, 2018, with active presence of women, in several cities of Iran including Isfahan, Rasht, Yazd and Abhar. The main demands of these retired teachers are the raise of pensions and the improvement of basic health care services. 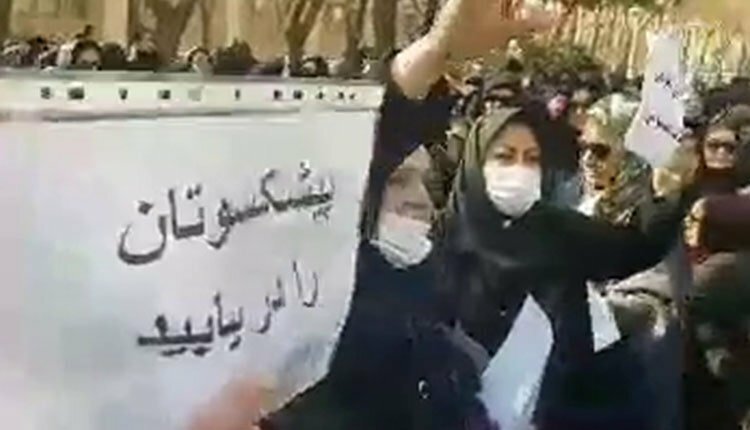 In Isfahan, a crowd of retired teachers held a protest gathering in front of the Department of Education in this province. The protest gathering of retired teachers in Gilan took place in front of the Governorate. On Thursday, December 20, 2018, a group of men and women who have been defrauded by the Caspian Credit Institute in Kerman protested against the looting of their deposited assets and the failure of officials to meet their demands.